Earlier this year filmmakers Kenny Ballentine and Taylor Schofield started working on a new documentary about one of their heroes, namely the mysterious and often bewildering M. Night Shyamalan. The story they unearthed proved to be more inspiring, entertaining and profound than either of them ever anticipated. It’s a classic hero’s journey, a Shakespearean tragedy, a phoenix rising from the ashes and a good old fashioned Hollywood melodrama all rolled into one! This is WTF M. Night Shyamalan! In this week's episode Night is lost in the woods and discovers the perils of playing it safe. We will revisit The Last Airbender and After Earth to find out what exactly happens when an Auture tries to be Joe Hollywood. Disclaimer: the dramatization of M. Night Shyamalan's birthday party and the physics experiments found in this episode are loosely base on facts... at best! Enjoy! 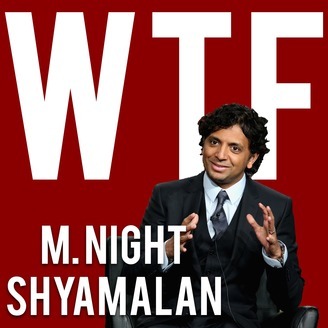 Preview: Introducing WTF M. Night Shyamalan?!?!? !